Ships from and sold by Sealen AU. 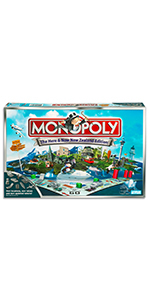 In this thrilling Fortnight edition of the Monopoly game, players claim locations, battle opponents, and avoid the Storm to survive. 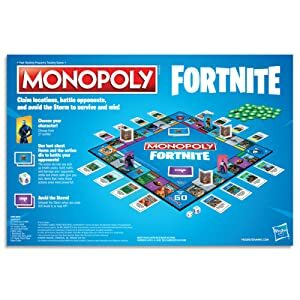 The gameplay, design, and components of the board game include elements inspired by the video game including Fortnight locations and loot chest cards. Instead of Monopoly money, players earn Health Points (HP). First choose a character: pick from 27 awesome outfits. Then, it's time to battle. The action die lets players pick up health packs, build walls, and damage their opponents. Every time a player passes go they unleash the Storm; avoid it or lose HP. Like in the Fortnight video game, the last player standing wins! FORTNITE and FORTNITE (stylized) are trademarks of Epic Games, Inc. 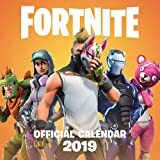 The Fortnight images, story elements, characters, distinctive costumes or "outfits," and related designs 2013-2018 Epic Games, Inc. All Rights Reserved. 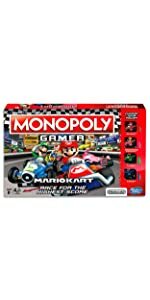 The Hasbro Gaming, Parker Brothers, and Monopoly names and logos, the distinctive design of the game board, the four corner squares, the Mr. 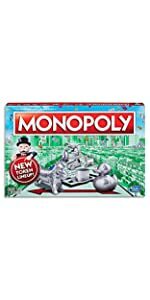 Monopoly name and character, as well as each of the distinctive elements of the board and playing pieces are trademarks of Hasbro for its property trading game and game equipment. 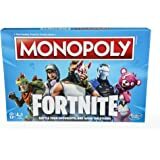 Created by Epic Games and Monopoly, battle, survive and outlast your opponents on the island in this Monopoly: Fortnite Edition board game. Players claim locations, battle opponents, and avoid the Storm to survive. 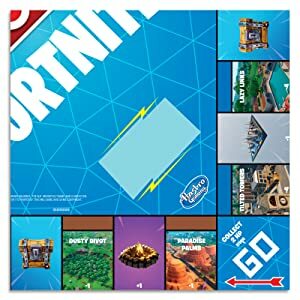 The gameplay, design, and components of the board game include elements inspired by the video game including Fortnite locations and loot chest cards. 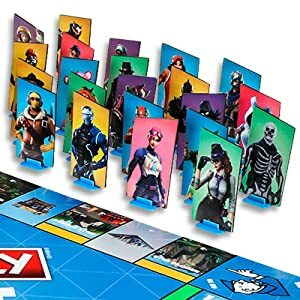 Instead of Monopoly money or V Bucks, players earn Health Points (HP). Haunted Hills, Loot Lake & many more from different Fortnite seasons. The game looks a bit complicated, and lots of setting up, but he's happy..... Arrived on time (even in the run up to Christmas). Very happy. An old game which all know how to play being revamped. For the family to play. 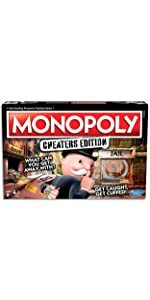 5.0 out of 5 starsBetter then the traditional Monopoly. 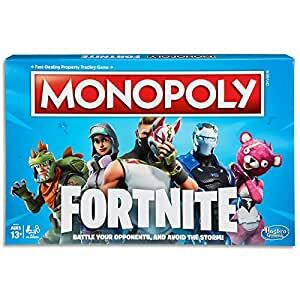 I thought this would be a fortnite themed monopoly game. BUT NO! It was better. 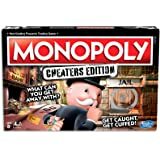 The game is completely different from the traditional monopoly game. and I loved it. My friends and I played this game 5 or 6 times in one sitting. 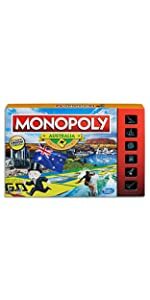 That impressed me because the traditional monopoly never had a winner in my household because of how long it could take to determine the winner. I really want another one of these to save as a collectors item. 5.0 out of 5 starsFun to play! This game is really cool! The game says 13+ but my 8 year old loves it! Is has nothing to do with the original, but they copied a similar board to try to sell you over. When you land on a "place" you get the card, but you don't get the "H"points. They go to the bank. WHAT?!!! !, yes the "BANK" gets the points if someone else lands on your "place". So I say give the card to the bank, since they collect points, That just got my son upset. (he doesn't understand- that's "common core" mentality) They have one dice, and one block with symbols. If you roll a brick wall, you place a brick wall on that place, But it doesn't stand for any reason. If another player lands on that wall you put the wall back, Are you thinking here?,,, so whats the point of placing the wall there to begin with? 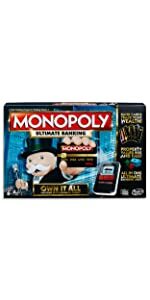 (again my son gets upset, because I'm asking the point to putting up a wall), so you continue playing the game and all points keep go to the bank. Todays generation can't decifer this, but I'm old school, where a game was to try to win, not played for the "general good", regardless of your efforts. I have always been week in the political scene, but if this isn't a "communal" type game, I couldn't find a worse one. If this isn't a socialism type game, someone please explain. The game ends when other players lose their "H"points to the bank, the "winner" (if thats what you want to call it) is merely someone who is fortunate enough to still have points before the "BANK" takes it all. We played a few times to entertain my son. No one wins but simply waits for the bank to take all, you never own anything. MONOPOLY yes, the bank monopolizes. All players are just pawns. does that ring any bells? I couldn't submit "0" stars. If you ask, "would I recommend", you must be joking, I've heard good things about "unstable unicorn", gotta try that one, this monopoly is getting return as propaganda agenda. 5.0 out of 5 starsAwesome Board Game! Easy enough for anyone to learn! 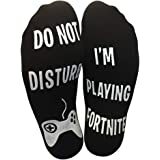 I purchased as a gift for a 30 year old attorney that loves Fortnite! A little diversion to get him away from the video game! It was nice to see them play and enjoy the game. It was not difficult for the non-fornite player to quickly learn how to play! I came back today to purchase a second one! As a side note: The manufacturers recommended ages are 13 and up. 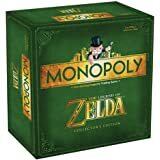 Different than the original monopoly. No cash involved. Health coins used throughout the game. Instructions were a little confusing, but we figured it out. Recommend kids 7 and up. My son is 12, we had a lot of fun. 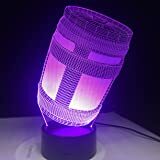 You have to be interactive, add sound effects and fornite dance. Otherwise it will be another boring board game. Pro: you don't lose 8hrs of your life trying to win.